The best part about yoga at STUDIO B is the COMMUNITY. In our Students of STUDIO B series, we highlight some of the people who make STUDIO B such a special place to practice yoga and learn a little more about what they're up to, off of the mat. This month we are highlighting Teddi Sakellarides and Suzy Biever-Grodzinski who were both recently accepted into the same PhD program at Temple University! TS: I have worked as a part-time faculty member at Lebanon Valley College (LVC) for the last four years. I am hired by the English and Sociology departments, teaching courses such as American Literature, Gender & Literature, Intro to Gender Studies, and Race & The Intersections of Identity. My own writing and research concentrates primarily on twentieth and twenty-first century African American women's novels, with a particular interest in the Gothic and slave narrative. In the classroom, my goal is to use language and narrative as a means to explore issues of gender and race, and to help students recognize the way that "texts" (in their many forms) can open up ongoing conversations across the humanities and social sciences. Lebanon Valley College has truly been the perfect place for me to ork; the liberal arts model of education allows me to teach classes in multiple departments and pursue my passion for interdisciplinary research, and the small class size grants me the opportunity to really connect with students and facilitate the kind of open and honest discussions I believe are ssential o learning. I know that each and every hour in the LVC classroom has made me a better thinker and teacher, and I will forever be grateful to LVC for the opportunity to discover and do what I lov. It has well prepared me for my next professional step: in the fall, I will move onto Temple University, where I will be a full-time PhD student and Teaching Assistant in the English department! SB: When did you start practicing yoga at STUDIO B? What brought you to yoga initially and what keeps you coming back? TS: I began practicing yoga at Studio B the very first week it opened! I visited my first Yoga studio in 2011. I was skeptical at first, but after the first class was blown away by how good I felt--not simply physically, but mentally as well. Yoga ensures I stay strong and flexible, but I return year after year for that great psychological reward. It is an hour of my day where my mind is most at rest. SB What is your favorite part about yoga at STUDIO B specifically? 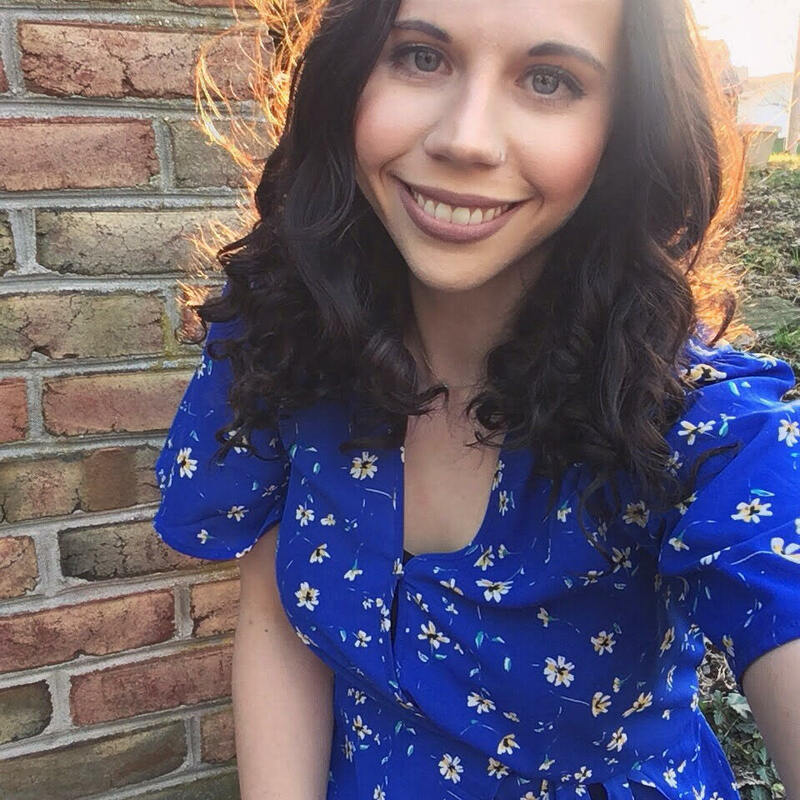 SBG: I currently teach 8th, 10th, and 12th grades English grammar and literature at Lebanon Catholic School as well as writing at HACC's Lebanon Campus. However, my ultimate goal some day is to teach at the college level full-time! To help me reach that goal and to grow my own knowledge of literature, I applied to various PhD programs and was accepted to Temple's program. I plan on studying various female authors from the Renaissance and Restoration periods of British Literature, analyzing how these female authors respond to being marginalized and constrained by societal expectations and restrictions. Oh my! I've lost track! Four years ago? Five? I had done yoga on DVDs on my own every now and then before finding Studio B. Primarily I wanted to learn the "right" way to accomplish yoga poses, rather than just teaching myself. I wanted proper instruction. I also wanted a way to de-stress from work and cope with anxiety while pushing myself outside of my comfort zone. I didn't know that Studio B was heated yoga when I first started and had no clue what "power" yoga was. During my first class I thought, "What did I get myself into?" But then I was hooked. Hooked on advancing from pose to pose, to learning more about myself, and to meeting new people and learning their own perspectives and styles of practicing yoga. SB: What is your favorite part about yoga at STUDIO B specifically? The community! I love how everyone knows each other and pushes one another while still providing support! It's such a wonderful and positive atmosphere! Also, I've made friendships that have extended beyond the studio. Some of my fellow yogis and I will hang out outside of the studio as well!